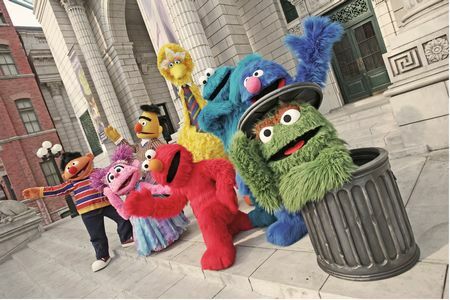 May 29, 2012, 10:43 AM · Universal Studios Singapore has confirmed the rumors - Sesame Street is coming to the park. The highlight will be a new Sesame Street-themed dark ride, under construction in the New York area of the theme park for a scheduled debut by the end of the year. But Sesame Street fans won't have to wait to see the characters in the park. Universal Studios Singapore this week introduced three live shows featuring the Sesame Street characters, a stage show and two street shows, as well as meet-and-greets. The 12-minute stage show, fondly called "When I Grow Up", features a vast cast of all-time Sesame Street favourites, including Big Bird, Elmo, Cookie Monster, Bert and Ernie, Grover and Abby Cadabby. Oscar will also join the line-up in "Our Favourite Things", one of the two street shows; the other titled "Dance with Bert and Ernie". The addition of Sesame Street gives Universal Studios Singapore another attraction with appeal for families with young children, to complement its Shrek and Madagascar lands. Universal Studios Singapore Vice President for Operations John Hallenbeck talked with me late last year about the need to appeal to young theme park fans: "Looking at the demographics of this region, again, family is a huge thing. Asia is very family-driven. Any attraction that we can get more from the youngsters to the grandparents is going to be more of a blockbuster for us." Universal Studios Japan also features the Sesame Street characters, joining Hello Kitty and the Peanuts characters in a Universal Wonderland kids' area.